First there was Record Store Day, an international celebration of all things vinyl. Now it's time to meet the next level of music nerd nostalgia: Cassette Store Day. Though hardly as fetishized, there are still many of us -- myself included -- who look fondly back on the cassette era. Initially pilloried by the industry over now-quaint piracy concerns (remember those "Home Taping Is Killing Music" posters? ), music fans loved the ability to trade dubbed cassettes and make mixtapes for friends and crushes. The effort we once put into these mixes, complete with collage cover art, made them so much more powerful than today's too-easy playlists. Plenty of musicians clearly have similarly fond memories, as many are putting out cassette-only releases to commemorate the second annual holiday, including The Strokes' Julian Casablancas, Yeah Yeah Yeah's Karen O, Best Coast, The Gaslight Anthem, Madvillain, Vivian Girls, Cloud Nothings, Foxygen, Dntel, They Might Be Giants, PUJOL, and Canada's own The Rural Alberta Advantage and Zeus. 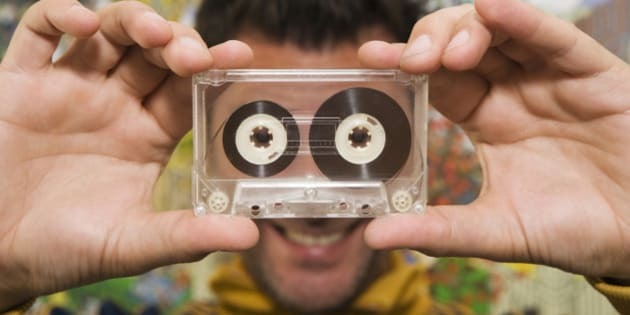 All this cassette tape talk got us digging around in the always amusing stock image archives, where we found some amazing and absurd cassette images that made us pine for the old days even more. • Dub Ditch Picnic — 412- 63 Albert St., Winnipeg.